A process to reduce particulate, Carbon Dioxide (CO2) and Methane (CH4) emissions from other biomass processes that don’t offer a beneficial use or lack a viable market. 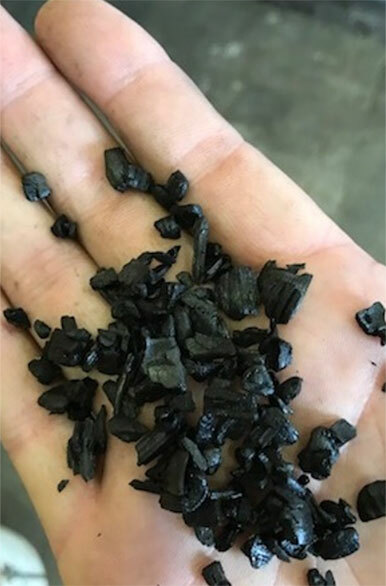 Biochar has many uses, a few notable applications include, Filter media, Carbon fertilizer, Compost additive, Substitute for peat in potting soil, Plant protection. The CARBONATOR™ 500 converts wood and other suitable biomass in to a high quality biochar at high throughput rates. 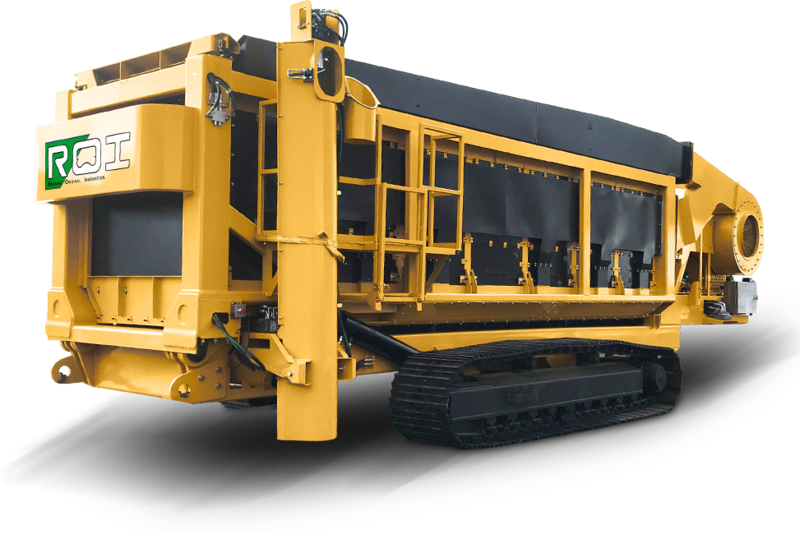 The mobile and stationary ENVIROSAVER™ 350 is the most advanced, cost-effective and environment-friendly wood debris conversion systems. Converting wood and other suitable biomass into a high quality biochar at high throughput rates. 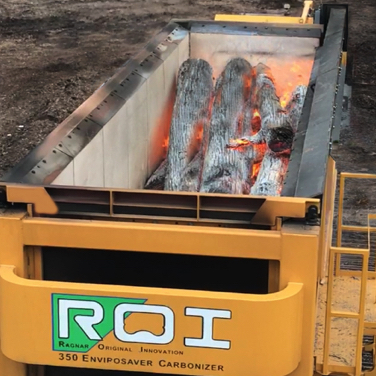 ROI provides the most environmentally sound and cost effective alternative for reducing and converting clean wood and vegetative debris. Operating on advanced principles not used in other wood and vegetative debris systems. We have developed our products to be the most cost effective and environment-friendly high-volume conversion systems, while producing a valuable end-product, biochar. All of ROI’s systems are available as portable, track mounted, or stationary, based on applications and customers’ requirements. The CARBONATOR is designed to accept trees, brush, stumps, and other wood debris without grinding or chipping. ROI’s Carbon Negative Process reduces volume while manufacturing a beneficial end product, Biochar. ROI’s carbon negative process converts a largely wasted fiber source into commercial volumes of Biochar with hugely positive, proven, implications for the environment. ROI’s patent pending Carbon Negative Process is the only available Single-Step recycling system that reduces the processing carbon footprint to less than neutral, having a net effect of removing CO2e emissions from the atmosphere, rather than adding it. All other available processes add CO2e emissions, some much more significant than others.